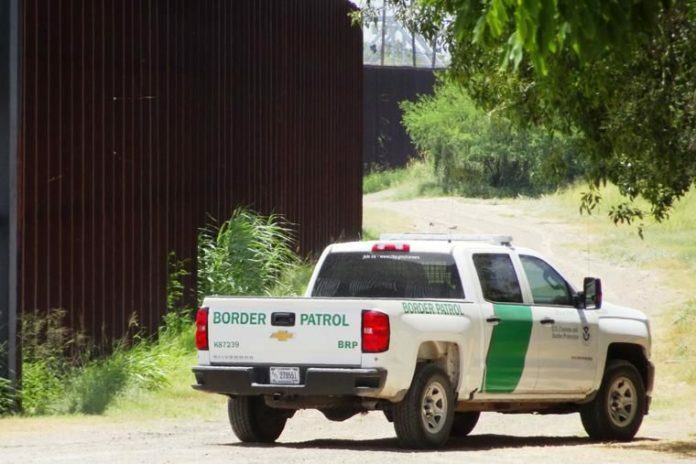 The U.S. Department of Homeland Security said Tuesday that it will waive environmental laws so it can build gates between sections of border barriers in South Texas’ Rio Grande Valley. DHS Secretary Kirstjen M. Nielsen filed an eight-page document with the Federal Register, which is scheduled to be published Wednesday morning, stating that she has determined that DHS must waive more than two dozen laws and regulations to ensure the expeditious construction of barriers and roads along the river. The document identifies 11 areas where DHS plans to construct mechanical gates, physical barriers and roads in existing gaps. A map created by the Center for Biological Diversity, a nonprofit organization based in Arizona that works to protect endangered species, shows new border fence infrastructure being planned from the Southmost area in Brownsville westward. The U.S. government already has around 700 miles of fencing on the southwest border. In far South Texas, segments of fencing stop and start along the levee built next to the Rio Grande, the river separating the U.S. and Mexico. Many parts of the fencing are built a significant distance from the river, in some cases bisecting private property. Some of the planned construction would cut through the National Butterfly Center in Mission and other environmentally sensitive areas. It may also leave some border town residents on the so-called “Mexican side,” still on American land but cut off by a wall. Scott Nicol, a resident of the region who co-chairs the Sierra Club’s Borderlands team, said it appeared several gates would affect access to farmland on the other side of existing fencing. But he said the government had not adequately informed residents or tried to have a community dialogue. “The fact that you have to learn about this when they’re going to waive the law … is very telling about the way this administration operates,” he said. Laiken Jordahl, a borderlands campaigner at the Center for Biological Diversity, said the border fence plans will seal off a good number of public access points to the Rio Grande and to nearby nature areas. “And we’re really concerned about the proximity of a few of these segments to the (Lower Rio Grande Valley) National Wildlife Refuge tracts,” Jordahl said. Reporting by Mark Reagan of The Brownsville Herald and Nomaan Merchant of the Associated Press.